– Ross Tucker of the Science of Sport, writing about why a group that launched this week hoping to develop a sub-2 hour marathoner within 5 years is going to waste a lot of money. Tucker points out that greyhounds and horses haven’t gotten faster over the last 30 years. Humans may be reaching their genetic limit as well. 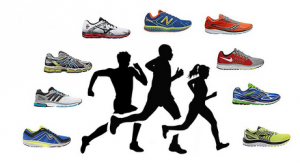 Now that elites are running ultras, what's left for normal runners? Group Launches Campaign To Have Someone Break 2:00 In Marathon Within 5 Years – Ross Tucker Says “No Chance” (link fixed) Greyhounds and horses haven’t gotten faster for 30+ years. We may be waiting for sub-2 in 2114. Dutee Chand Will Be Allowed To Compete Domestically In India Until CAS Rules On Her Hyperandrogenism Women’s athletics as we know will be obliterated if intersexed or transgender people are allowed to compete as women. *MB: Help me out letsrun: Why would Kenya spend $13,000 to test 2 men for possess elevated women’s hormonal levels? Australia Sets Qualifying Standards For 2015 Worlds – Should Be Easier To Go Than In Past “Australia can send three female 800 runners to Beijing provided all have run 2:01.00, or faster.” For the men’s 5,000, the mark is 13:23. Athletics Kenya Drops The Ball Big Time: Recently-Banned Kenyan Runner Viola Kimetto Furious With AK As They Never Even Told Her She Failed A Drug Test AK completely ignored the notice from the IAAF saying Kimetto was banned and even cleared her for a travel visa to go race a marathon in Zagreb. Russian Whistleblowers Say They Have More Proof To Support Their Allegations About Doping In Russia One would think this is something an “Independent Ethics Commission” would look into? The Telegraph Asks What The Worst Federation Of 2014 – Was It The IAAF? They decided that while the IAAF was a strong rival, FIFA was the worst. One Of The Most Important Things For US Olympic Bid Is A Charismatic Leader Worked out well for London. They had Seb Coe. Mexico Olympic Committee President Wants To Revive Joint Tijuana-San Diego Olympic Bid For 2024 Agenda 2020 changes would allow such a bid, but USOC is unlikely to go along with it. LRCKenny B Commits To Dubai, Foot Locker, USATF And European XC Mania, Meb "Dusts" Ryan Hall, And No Love For Stephanie Hightower? What are the Olympic chances of Grant Fisher and Anna Rohrer? 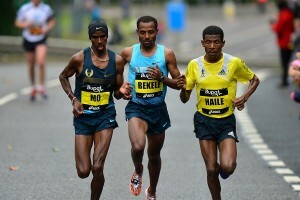 How will Kenenisa Bekele do in his marathon in Dubai next month. Plus Club Nats XC, European XC, Kevin Sullivan moving to the marathon, Stephanie Hightower making the wrong news off the track, and LRC on the BBC. Rita Jeptoo’s B Sample Confirms Positive Doping Test Jeptoo was the best marathoner in the world the last two years, winning 4 straight WMM and the $500,000 WMM title. No more. Now she’s a drug cheat. US High Jump Champ Inika McPherson Gets 21 Months For Testing Positive For Cocaine Metabolite She loses her 2014 USA Championship and the only 2.00m jump of her career. She’s the jumper known for the tattoos and colorful hair. She wasn’t even trying to cheat and got a longer suspension than Tyson Gay, who was trying to cheat. 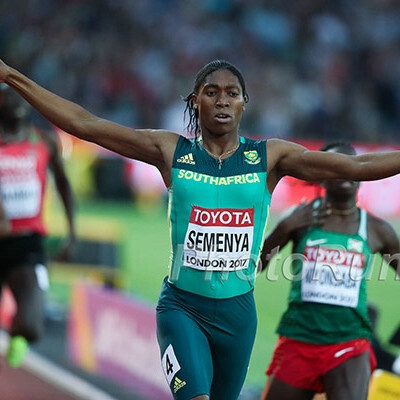 Spikes’ 20 Most Incredible Pics For Track And Field From 2014 Chanelle Price was stunned when she won gold and a very pregnant Alysia Montano made the list. 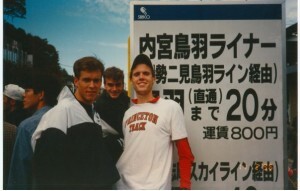 Preview Of Sunday’s National High School Ekiden Championships In Japan The top boys HS team in Japan has a 7-man avg. of 14:08. The top girls team has a 9:13 5-girl avg. for 3k. Meet Jr. European XC Champ Yemanebernane Crippa Of Italy – The Orphan Born To Run One of 9 orphans adopted from Ethiopia by an Italian couple, his idol is Mo Farah. 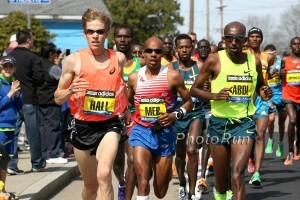 “The sprint of Mo is magic. It is also about his personality.” He got help in winning gold as Russia’s Aleksandr Novikov sprinted a lap early. Oklahoma State Star Sprinter And WR Tyreek Hill Is No Longer Part Of Track Or Football Teams After Arrest For Hitting Pregnant GF Hill, who ran 20.14 for 200 in HS, was starring on the gridiron this fall after getting 5th at NCAAs last year in his first year as an NCAA trackster. Recommended Read #1: Columnist: IOC’s Consideration Of Dropping 200/10k Is Absurd – Here Are A Few Better Alternatives Modern Pentathlon, Fencing, Equestrian and U-23 soccer are his ideas. We certainly think the 200 – home of two of the greatest Olympians ever in Michael Johnson and Usain Bolt – and 10,000 – home of Haile G, Billy Mills, Lasse Viren – should be locks to remain. Recommended Read #3: Alan Abrahamson Writes Passionate Defense Of Stephanie Hightower And Max Siegel We respect Abrahamson a great deal. 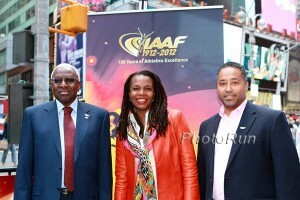 If you are anti-USATF, you owe it to yourself to challenge your viewpoint and read the article. 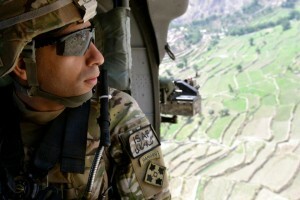 Others have called for Hightower’s resignation. Albert Rop And Kenya’s Faith Kipyegon Get Top Billing At Sunday’s Lotto Cross Cup Meeting In Brussels World Jr. 10k silver medalist Elvis Cheboi is also racing. 99 Days To Go Until 2015 World XC In Guiyang, China 2015! Recommended Read: US’s World #3 400 Hurdler Georganne Moline Says “Track Changed My Life” Moline had a tough childhood as she lived out of a car with her mom for a while. At Arizona she had a lot of injuries and disappointments before finally getting her big break when she unexpectedly made the Olympic team in 2012. 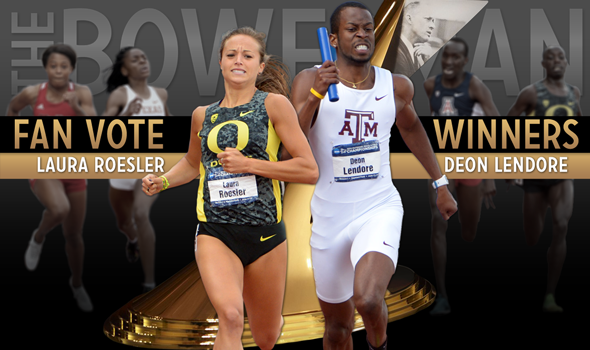 University Of Oregon’s Laura Roesler And Texas A&M 400 Runner Deon Lendore Win 2014 Bowerman Award This is track’s version of the Heisman. US HJ Champ Inika McPherson Banned For 21 Months For Cocaine Recreational cocaine use shouldn’t result in a 2-year ban. 70-Minute Half Marathoner Joyce Jemutai Kiplimo Says She Made 12 Trips To Athletics Kenya, Never Got A Hear, But Was Banned For Doping Anyway She says she’s got medical documents to explain her positive test but was treated with contempt. LRC 6 Thoughts: Mo Trafeh, Liar And Drug Cheat, Gets 4-Year Ban: Who Else Was Doping In Flagstaff? 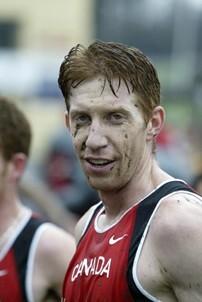 The 8-time USA road champion officially got a 4-year ban from the sport and the arbiter’s report showed he lied to LetsRun.com. We’ve read over the report and have our key thoughts. 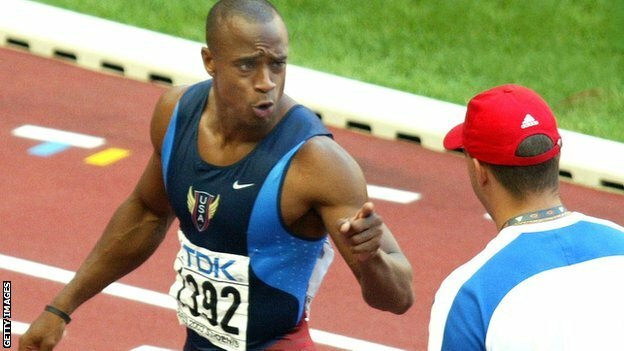 LRC USA Olympic Coach Jon Drummond Gets Banned: 4 Big Thoughts, Including Was Tyson Gay On HGH Prior To The Summer Of 2012? We carefully read the 24-page decision in the Jon Drummond case and conclude this story is far from over as the report includes a bombshell on page 5 – Tyson Gay had a bottle labeled HGH which someone had given him before even met Dr. Gibson or moved to Dallas to work with Drummond in May in 2012. Then why did Gay’s suspension only begin in July? Bring Back The Mile’s Top 10 Mile Moments From 2014 From Mary Cain just missing the World Jr. record by .01 to Ayanleh Souleiman running a US All-Comers record of 3:47.32. Feminist Slams BBC For Celebrating Jo Pavey For Being A Mom Instead Of Being A 40-Year-Old Star Runner Pavey was third in BBC Sports Personality of Year award battle.